Can you tell us something about "V for Victor"? 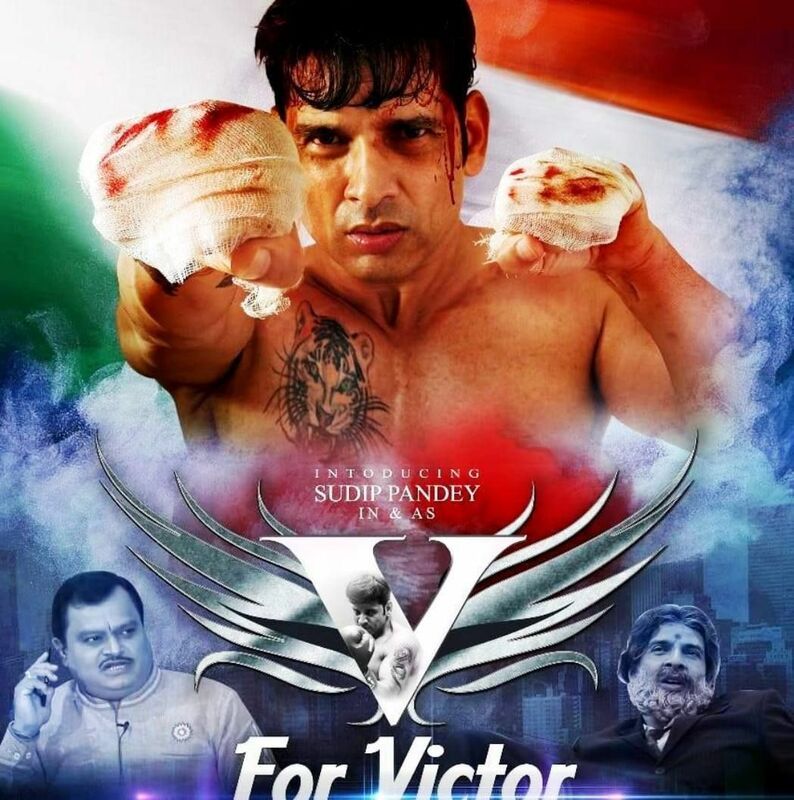 "V for Victor", is slated to be released in ensuing March. It deals with ups and downs in the life of a boxer. I am playing the role of Victor who is a common man, who becomes the boxer with sheer dedication and works for the welfare of the country. I think that more attention should be paid towards sports promotion. What are the other highlights? The film also has a character of a RAW agent. While selecting the characters for this film, I came to know about the secret agent Ravindra Kaushik and deployed my team for research work. The RAW agents take risk and work for the country, but no one is aware of them. Even their family members are not aware about their activities. If they are caught, the Government also doesn't help them. Their life is full of difficulties. That is the reason, I decided to focus on secret agent in this film. So is the film based on sports promotion and secret agents? The film has romance, action, entertainment, mellifluous songs and for that matter everything that a family drama offers. Where the film has been shot ? 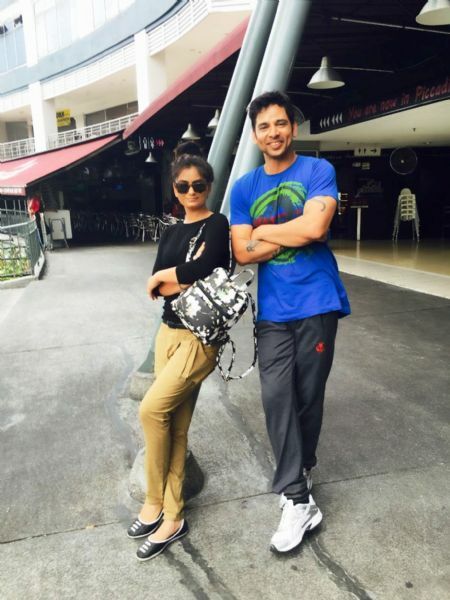 Besides India, the film has been shot on various locales in Malaysia like Penang, Malaika etc. Who else are essaying roles in the film? Bengali actresses Pamela Mondal and Sangh Mitra play romantic interest with me. The film is not woman oriented. There are many other artists who include: Naseer Abdulla, Sanjay Swaraj, Usha Bachhani,Jaswinder Garderner,Rashul Tandon, etc. Besides Suresh Chavhanke ,CMD of Sudarshan news, Lavni Srivastava,Sumit Chaudhary, anchors of Sudarshan news, Srikant Pratyush,CMD of PTN news,Jhankar News and Sanmarg newspaper, are essaying important roles. The film is directed by S. Kumar. The film has been written by Ramesh Mishra (IAS), the cinematography is by S.Pappu, the music has been scored by Sanjiv- Darshan and lyrics have been penned by Sanjeev Chaturvedi and Krishna Bhardwaj. How confident you are about your film ? I am confident that the fans will make it a big success, because it is content based film made on an international scale with a positive message of humanity. You are a producer as well as actor in this film. Don't you feel overburdened? A. No. In fact I am at ease because I decide the things I want. After I made a debut as an actor-producer in Bhojpuri films, I was waiting for the right break as an actor in Hindi films so I decided to launch myself with this film. Which was you first film? 'Bhojpuriya Bhaiya' was my first film, which I liked most. I like and emulate Amitabh Bachchan. I also like to follow Akshay Kumar's disciplined lifestyle. Do you remember any turning point in your career? Yes and surprisingly it is connected with "V for Victor". An artist was signed to play a role of a villain and he was to come to India from USA. But he dodged me twice. Eventually I decided to double up and play that role myself. This incident came as a blessing in disguise for me. Do you have any theatrical background? During my college days in Bhopal, I was associated with many theatre groups. "Parivartan" was one such group through which we staged several plays and dramas.